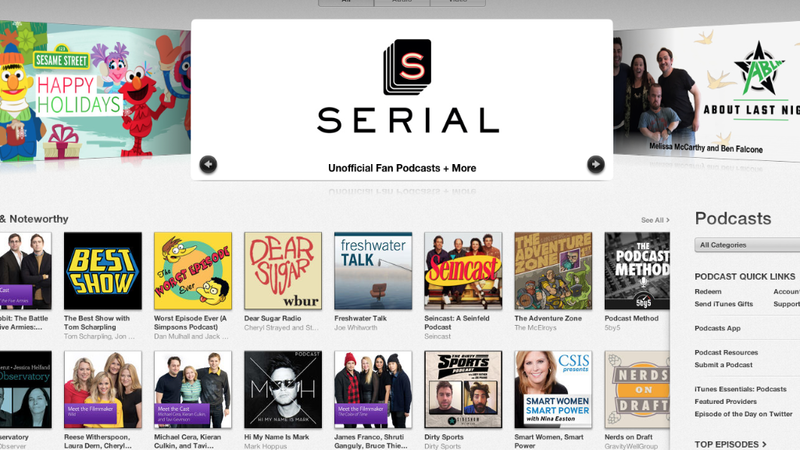 Now playing on iTunes: season two of Serial, the most popular podcast of all time. The mega-hit is back. This time the producers are investigating the case of Bowe Bergdahl, a U.S. soldier who left his base in Afghanistan in 2009, was captured by the Taliban and was accused of deserting his unit. In episode one, host Sarah Koenig raised questions about trust while setting up Bergdahl's story. Future episodes, released weekly, will present differing accounts from Bergdahl, his fellow soldiers, and the Taliban. 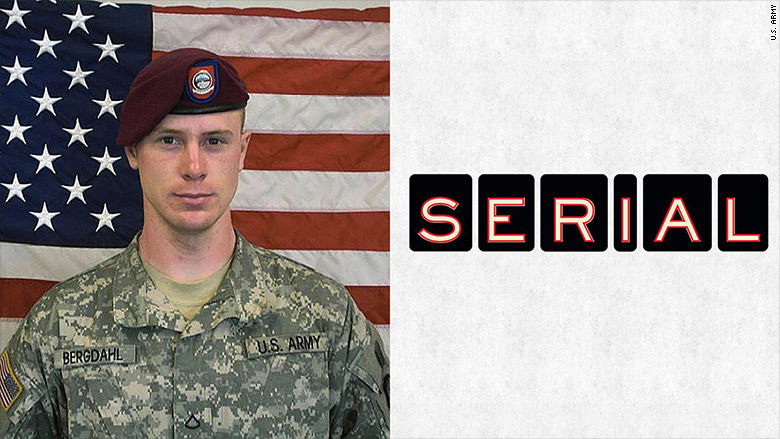 Serial says the podcast marks the first time Bergdahl has granted an interview since his return to the United States in May 2014. The interview comes from Mark Boal, a screenwriter who spoke with Bergdahl while researching a future film. "All I was seeing was basically leadership failure, to the point the lives of the guys standing next to me were in serious danger of something going wrong -- somebody being killed," he said. Bergdahl said there was another reason for leaving, too: "I was trying to prove to myself, the world, to anybody that knew me that I was capable of being that person." Boal asked: "Like being a super soldier?" "Yeah, capable of being what I appeared to be," he answered. "Doing what I did was me saying I am like... Jason Bourne..."
Bergdahl was held captive for five years. Upon his release, President Obama invited his parents to the White House for a celebratory announcement. But the public discussion about Bergdahl quickly shifted, after members of his unit accused Bergdahl of being a traitor to his country. He was charged with desertion earlier this year, though the Army recommended that Bergdahl avoid prison time time. The manner in which Bergdahl was brought back to the United States is also controversial. He was exchanged for five Taliban prisoners. This spring Boal and his production company Page 1 came to the Serial producers with "about 25 hours of recorded phone interviews that Boal had conducted with Bergdahl after his return from captivity," The New Yorker reported on Thursday. The magazine was given advance access to the producers ahead of the season two launch. "The tapes are the heart of the project, and both groups have done extensive additional reporting, independently and together," the magazine reported. In a blog post, Koenig noted that the Bergdahl case has already been widely covered, but said "it spins out in so many unexpected directions" that people don't know about. "Unlike our story in Season One, this one extends far out into the world," she wrote. "It reaches into swaths of the military, the peace talks to end the war, attempts to rescue other hostages, our Guantanamo policy. What Bergdahl did made me wrestle with things I'd thought I more or less understood, but really didn't: what it means to be loyal, to be resilient, to be used, to be punished." Season one of Serial was the fastest podcast to hit 5 million downloads on iTunes. Every week, the hourlong podcast followed Koenig's investigation of the murder of a Maryland teen in the 1990s. The first season was left unresolved, and it has sparked fan podcasts. The new season is available for download on iTunes, on the podcast's website and on a host of podcast apps.